at Valladolid's Metropolitan Cathedral in Northern Spain. 2009 Christmas Concert at Valladolid's Cathedral. 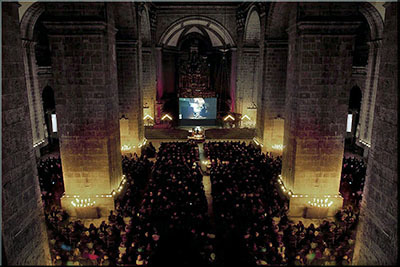 2009 Autumn Concert at Valladolid's Cathedral. 2009 Summer Concert at Valladolid's Cathedral. 2009 Spring Concert at Valladolid's Cathedral. 2008 Summer Concert at Valladolid's Cathedral. 2008 Spring Concertat Valladolid's Cathedral. New Year's Concert 2007 - Organ Concert at Cubillas de Santa Marta. Christmas Concert 2007 at Valladolid's Cathedral (northern Spain). Autum Concert 2007 at Valladolid's Cathedral. Transcription for Organ by Keith John. Easter Concert 2007 at Valladolid's Cathedral. 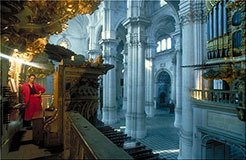 Concerts in 2006 at Valladolid's Cathedral. The historical organs of Salamanca's New Cathedral. 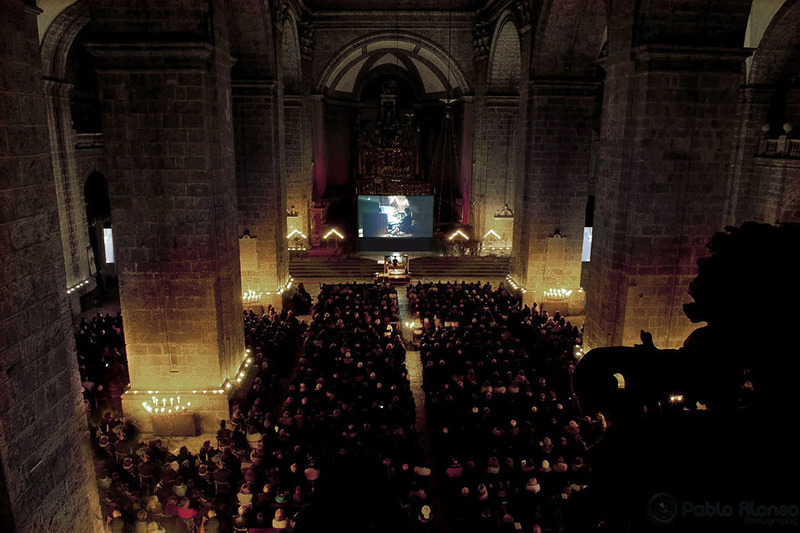 Videos of Pilar Cabrera's Organ Concert organized by the XXVII Festival de Órgano de Álava (Northern Spain). Órgan ot the Curch Iglesia San Juan at Laguardia, restored by José María Arrizabalaga. 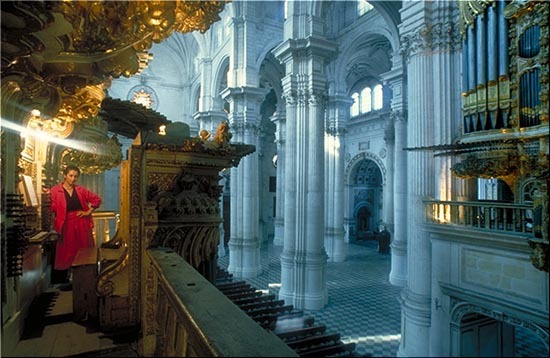 with the most outstanding acoustic of Valladolid's Cathedral in Northern Spain. 7 composers are dedicating music to Pilar Cabrera. Didactic auditions with PILAR CABRERA at Valladolid's Cathedral. enjoying together with Pilar Cabrera the magic of this enormous monument with its two organs. edited and published in its 40 aniversary by Michael Reckling. The unique CD of the large Blancafort Organ at Marbella in Spain. Organ concert for ORGANALIA at Turin / Italy. and various high quality audio recordings of several concerts in Spain.
" Five Spanish Popular Dances "
by the famous young composer Miguel Pérez from Málaga. Excellent live recording by Spanish National Radio for download. 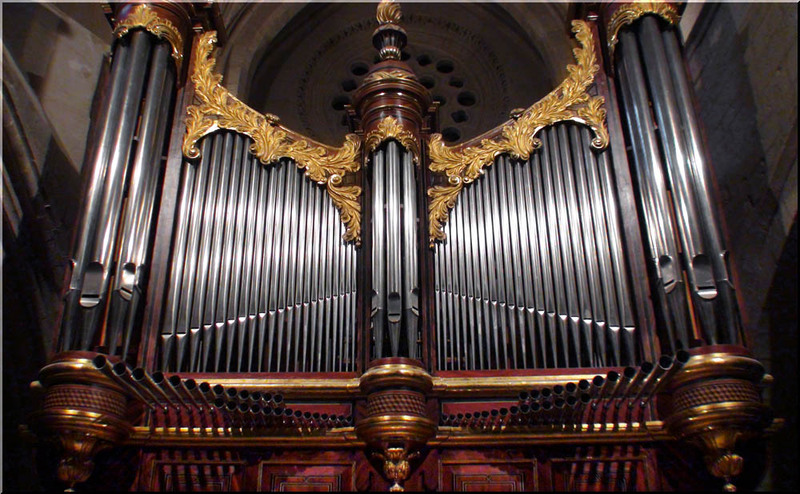 PILAR CABRERA has inaugurated the new 4-manual Allen Organ at Valladolid Cathedral. Listen to passages of the two first inaugural concerts, recorded live on July 14 and September 22, 2006. Autum 2005 - Concert for Organ and Trumpet at Málaga Cathedral, Andalusia, Southern Spain. PILAR CABRERA plays works by Johann Sebastian Bach at Cubilla's new Allen concert organ. Picture of PILAR CABRERA taken by Dr. Blas Bombín Mínguez / Valladolid. built by Aquilino Amezua and Leocadio Galdos between the years 1904 and 1928.
with many enticing photographs and audio files ! the grand Marbella Sun Organ, located at sunny Marbella in southern Spain. and organist of the new Cathedral Organ at the city of Valladolid, capital of the region Castiila & León.